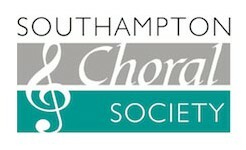 I joined Southampton Choral Society in January 2015. At first it was rather daunting, but following a chat with our musical director, Peter Gambie, I soon felt very much at home. In April we were to perform The Campra and Faure’s Requiem. My first reaction was “How am I going to get all the words transcribed into Braille?” This however, was soon rectified by Rosaleen Wilkinson, the choir membership secretary, who said “Don’t worry I can type what you need”. Now, if they don’t have the score, Rosaleen types the words which are then sent to Heather at the RNIB library for transcribing into Braille. We are an auditioned choir of approximately 120 singers. Other works we have performance include Verdi and Mozart Requiems, Dream of Gerontious by Elgar, Works by Haydn and most recently Rossini. It is fantastic to be part of such a friendly choir. I don’t receive any preferential treatment because of my disability for which I’m pleased. I had to undergo an audition the same as everyone else. Being part of a choir involves commitment as we have to attend rehearsals in preparation for concerts. A number of years ago, I was at college in another part of the country. I attended an audition and was told that although I had a nice voice I could not be in the choir. When one of the tutors tackled the secretary she said: “We can’t have a blind person in the choir. She may come in at the wrong place. John Rutter is conducting our next concert so it would not look good to a professional conductor.” I’m sure John wouldn’t have cared who was singing in the concert as long as they knew the work, but I felt very downcast at the time. I’m so glad to have overcome this by trying again. I enjoy singing very much and feel so privileged to belong to this large choir. Our conductor has been a great support to my needs and his understanding I value very much. He wanted me to write something in order to attract others who are visually impaired who may feel this is something they can be involved in too. I don’t read music but we have practice CDS or use Midi files which are very helpful. This has been a fantastic experience for me and one I’m so glad to be part of. I wanted to share my story as other visually impaired people out there may wish to join a choir but are not sure where to start! Yes, it can be off-putting especially if you’ve had a bad experience. I’m sharing this to let everyone know that all choir committees and conductors are not the same. Most, I’m pleased to say, they look beyond the disability! So anyone out there who’s thinking of joining a choir or anything else for that matter, Go for it! There’s nothing to lose. I’m glad to have taken the plunge! Lastly and most importantly, I’m not writing this for my own glory. I want to thank the people in the choir who have helped to make it possible for me to take an active part. Firstly, to Peter Gambie, our conductor, for giving me this opportunity, secondly to Rosaleen Wilkinson, the membership secretary, for her invaluable work in laboriously typing large works. I could not have done it without her and finally, to Heather at RNIB Library for her support in assisting me in getting material transcribed into braille. Thank you all most sincerely from the bottom of my heart.